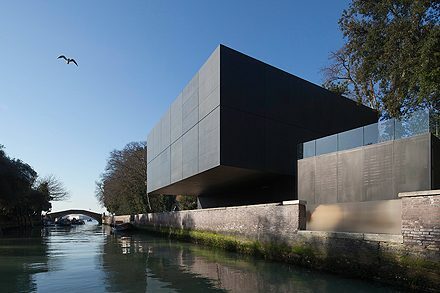 The Australian Pavilion in Venice. Photo by John Gollings. Create NSW working in partnership with the Australia Council for the Arts to support four places in the Emerging Arts Professionals Program, Venice Biennale 2019. Applications are now open for the Australia Council’s Venice Biennale 2019 Emerging Arts Professionals Program. The Emerging Arts Professionals Program provides opportunities for individuals working across the visual arts sector to gain experience of the Venice Biennale and the Australia Council’s Venice Biennale 2019 project. Each Emerging Arts Professional will travel to Venice, where they will participate in a tailored professional development program coinciding with either the Australia Council’s Vernissage program in May 2019, or events program in September/October 2019. Emerging Arts Professionals will be exposed to a wide range of contemporary art practice and given access to a network of Australian and international art influencers. Additionally, they will gain important experience of working on a large-scale international project and the opportunity to develop new skills and knowledge that will benefit the broader Australian visual arts sector. This opportunity is open to applicants from areas as diverse as (but not limited to) curation, cultural programming, arts journalism, arts marketing and communications, arts education, arts philanthropy, arts events management, and gallery/museum administration. Create NSW will be supporting four positions, with one position identified for an Aboriginal or Torres Strait Islander applicant, and at least two positions allocated to people who meet the Create NSW Priority Areas (please check the Arts and Cultural Development Program guidelines). For guidelines, eligibility criteria and applications, click here.